March 06, 2015, 2:01 p.m. In most cases, “complementary and alternative medicines” (CAMs, treatments that fall outside the mainstream of healthcare) are not offered by the NHS, but at the discretion of a local practitioner they can be. The NHS even accepts that there is good evidence for the effectiveness of osteopathy, chiropractic and acupuncture for the treatment of low back pain. Other alternative medicines, however, like homeopathy – diluting remedies, often to the point of non-existence – and traditional Chinese medicine, are completely unregulated, meaning that anyone can practise them without any training or expertise. New YouGov research finds that many people – in several cases a firm majority – remain positive about the effectiveness of alternative medicines. Even for treatments with no scientific or professional recognition, public opinion is divided at worst. 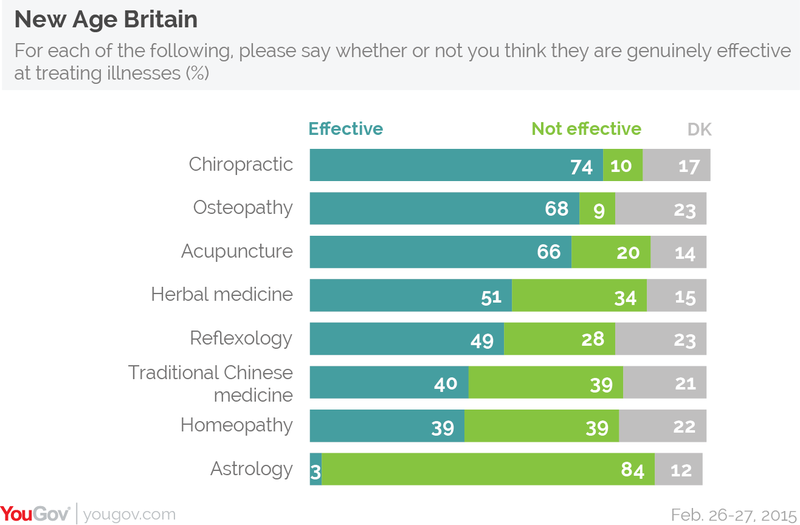 Suitably, the three CAMs with NHS approval (osteopathy, chiropractic and acupuncture) are the treatments believed to be "possibly" or "definitely" effective at treating illness by over two thirds of British people. Most people (51%) also believe that herbal medicine could be effective. Homeopathy is considered the least effective of the CAMs by the public, but considering that a systematic review of homeopathic studies by the British Pharmalogical Society says “there is no condition for which homeopathy is convincingly effective”, the extent of confidence is surprisingly high. 39% say it could be effective at treating illness, 39% say it probably or definitely is not. Perceptions of alternative medicines have changed little, if at all, since the same survey was conducted in 2011. Prince Charles was alleged to have tried to influence government healthcare policy, in favour of including CAMs alongside orthodox treatments. 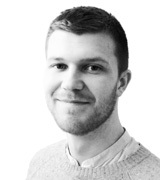 There is a tendency to say that the more radical CAMs should not be available on the NHS, however supporters of the idea are not insignificant. 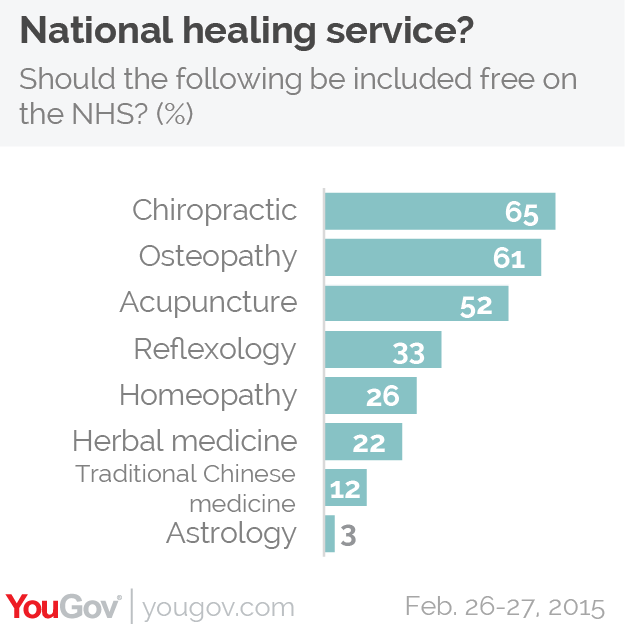 A third (33%) say reflexology (treating the body through the feet) should be free on the NHS and 26% say homeopathy should be. Conservative MP David Tredinnick, who sits on the health and science and technology committees, recently suggested that integrating astrology into medicine could "take huge pressure off doctors", and predicted that reading the stars will "have a role to play in healthcare." British sympathy for alternatice medicine only goes so far, however: 80% say astrology is not effective at treating illness, and 84% say it should not be available on the NHS.